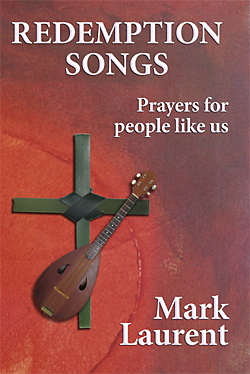 The 71 songs in this book started out as responses to The Psalms but Mark soon found himself wandering to all sorts of places, the Psalms being good jump-off points. The songs are numbered instead of having titles, in the hope that this leaves a degree of open-ended-ness, so that God can say to you what you need to hear. Dip into them at random. May there be a few holy surprises here for you. Two Jewish men inspired this book. 3,000 years ago king David wrote a collection of songs to express his love, hopes and fears to God. They’ve been collected as the Psalms of the Old Testament. Thirty years ago Leonard Cohen published a collection of ‘secular prayers,’ originally called The Book Of Psalms but finally published as Book Of Mercy. 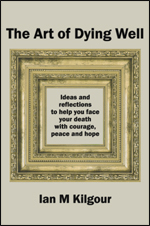 Reading about Leonard’s process with Mercy sparked Mark’s desire to do some writing. This book is a response to those two great writers and especially to God, to whom they both sing. Redemption Songs isn’t a paraphrase, though from time to time that occurs. Mark started by writing responses to The Psalms, but soon found himself wandering to all sorts of places, the Psalms being good jump-off points. Mostly he didn’t write them as ‘songs’ to be sung, though a few things that started their life as song lyrics have snuck in. The 71 songs are numbered instead of having titles, in the hope that this leaves a degree of open-ended-ness, so that God can say to you what you need to hear. Dip into them at random. May there be a few holy surprises here for you. Mark Laurent is a professional musician, poet, writer and Christian communicator. He’s recorded many albums over more than 30 years and been a recording producer. 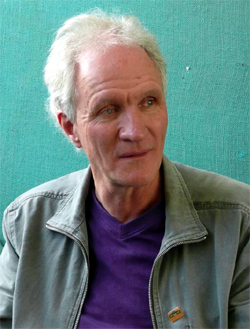 Since the early 1980s he has used music and poetry for outreach and in worship, in New Zealand and overseas. He lives with wife and fellow musician Brenda Liddiard in a 20th floor, high-rise apartment in central Auckland.